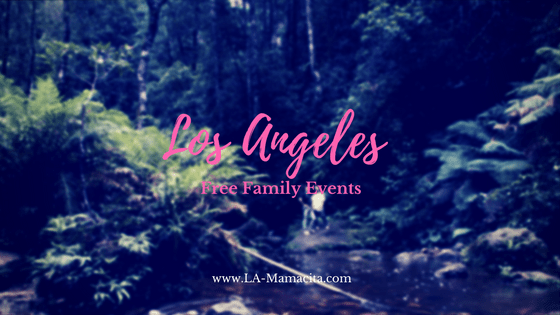 It’s been a while since I’ve made a list of free family friendly events happening in Los Angeles! I know the kids just went back to school and the cost of clothes and school supplies have left some wallets suffering. So, I present this small but helpful list of free events happening in Los Angeles this weekend. If you are hearing about these events for the first time and because of this post, I would love to know. Leave me a comment below or use hashtag #iamLAmamacita on your social media shares so I know this list is bringing some fun to my Los Angeles families! Event: Giant Origami Crane, Fold and decorate a big, beautiful bird, using classic origami. Event: Kick-start the school year by creating a personalized desk or locker box. Event: Join community naturalists for a morning of nature and creativity! Event: Beat Swap Meet, an afternoon of vinyl, DJs, b-boy & b-girl competitions, food and more. Also, L.A Mamacitas has a free event of our own coming soon! Follow us on Instagram for all the details!